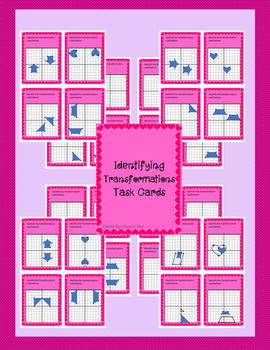 Students will have fun identifying the different forms of transformations with these Valentine's themed task cards. There are 32 cards focused on Reflection, Translation, Rotation (around origin), and Dilation. Task cards are great for Quiz-Quiz trade, early finishers, small groups, centers, or making a card game.